The Clock block outputs the current simulation time at each simulation step. This block is useful for other blocks that need the simulation time. When you need the current time within a discrete system, use the Digital Clock block. 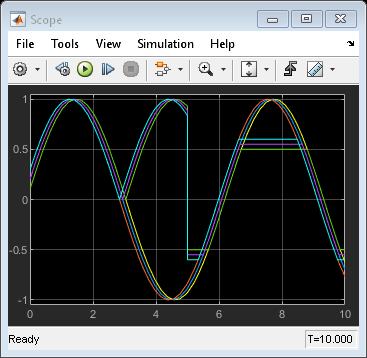 Sample time, specified as the current simulation time at each simulation time step. 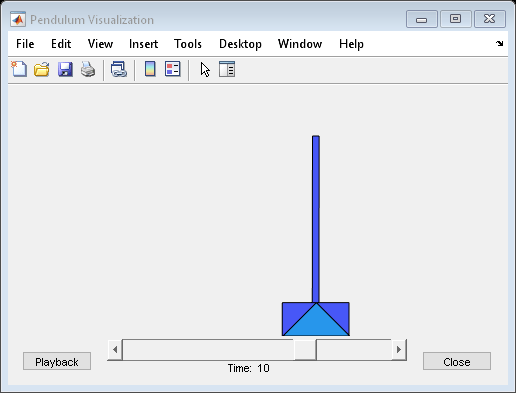 Select this check box to display the simulation time as part of the Clock block icon. When you clear this check box, the simulation time does not appear on the block icon. Specify the interval at which Simulink® updates the Clock icon as a positive integer. Suppose that the decimation is 1000. For a fixed integration step of 1 millisecond, the Clock icon updates at 1 second, 2 seconds, and so on. To display the simulation time on the block icon, you must select the Display time check box.